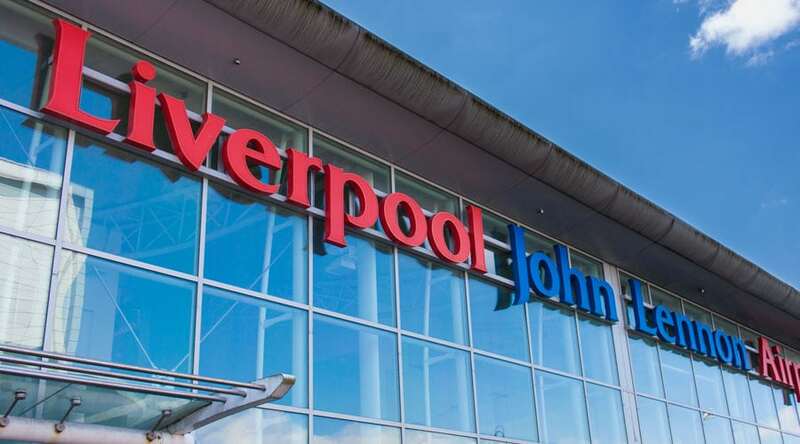 Liverpool John Lennon Airport is one of the busiest airports in the UK and serves North West England with immediate links to the nearby city, various businesses and some of the country’s most prestigious hotels. If you’re planning to fly to or from Liverpool Airport, Starr Luxury Cars should be your first choice for the most luxurious airport transfers, continuing your first-class service on the ground. Providing Liverpool Airport luxury transfers to various clients, we have built up a wealth of experience, enabling us to get you to your destination promptly, safely and ultimately relaxed. Pre-book a chauffeur with us and experience the finest Liverpool Airport luxury transfers in one of our immaculate, modern hire cars at a competitive price. Our clients are always our top priority, and this will be reflected in the luxury transport service you receive. Your personal, dedicated chauffeur will add with discretion, loading and unloading your luggage for you and leaving you free to relax in the back of your highly comfortable prestige hire car. We will then concentrate on getting you to your destination as quickly as possible, whilst you can work or unwind as you choose. Whether you’re heading out of Liverpool John Lennon Airport for business or pleasure, Starr Luxury cars offer one-way and return transfers for single use or frequent flyers, allowing you to always miss the long waiting times and crowded areas. Speak to our expert team and we can organise for your Liverpool Airport chauffeur to meet you either in Arrivals or at a pick-up point, allowing for a quick transition to your luxury car. Once you pre-book your Liverpool Airport travel with us, we will tailor your booking to your needs, ensuring we do everything possible to provide a positive, secure drive. For added reassurance, give your flight details to our highly-skilled members of staff and we will track your live travel information, making sure your personal chauffeur is on hand to meet you even if your flight is early or delayed. To provide additional assistance for a true VIP experience, add on our Liverpool Airport assistance and hostess package, where you will be accompanied by one of our professional hostesses right up until your flight leaves, catering to your every need. We aim to cater to our clients’ needs as much as possible, constantly updating our fleet by adding the newest and finest chauffeur-driven cars in the UK. Each of our executive hire cars features a stunning interior and the very best modern conveniences, ensuring we have something to offer for individuals, couples or larger groups looking to travel for either business or pleasure. Alongside top of the range Jaguars, Mercedes and Range Rovers, we also provide some of the most luxurious cars for chauffeur hire in the UK. For a special occasion or as added security, we have a range of popular extras for you to choose from at the time of your booking, including car seats for children or luxury alcohol packages for the adults. Complete your booking through our online system or speak to our friendly team for further information and specific requirements and we’ll be happy to accommodate, providing the best Liverpool Airport luxury transfers in the UK.